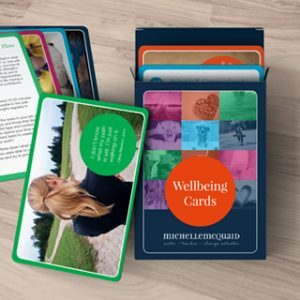 These beautifully designed cards can help you more consistently feel good and function effectively at work. 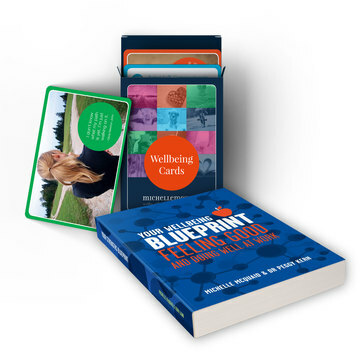 Engaging, educational, and practical, the Wellbeing Cards give you tested, practical, busy-proof steps for improving your wellbeing, based on Professor Martin Seligman’s PERMA theory of wellbeing. This book is your evidence-based, step-by-step blueprint for measuring your wellbeing using Professor Martin Seligman’s PERMA framework, setting realistic wellbeing goals, and creating a personal wellbeing plan with busy-proof practices that you actually enjoy doing and will stick with! 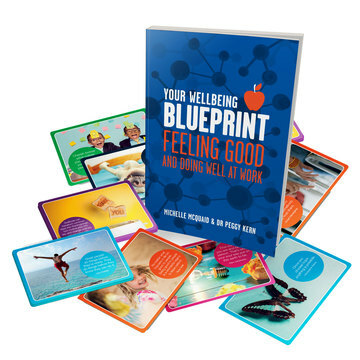 Your Wellbeing Blueprint includes over 100 wellbeing interventions to help you feel good and function more effectively at work. 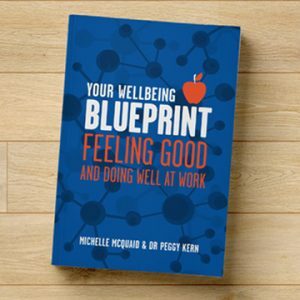 Your very own (physical) copy of our book, Your Wellbeing Blueprint: Feeling Good and Doing Well at Work: Learn how to measure your wellbeing using Professor Martin Seligman’s PERMA framework, set realistic wellbeing goals, and create a personal wellbeing plan that you actually enjoy doing and will stick with! Your own set of our beautifully designed Wellbeing Cards. 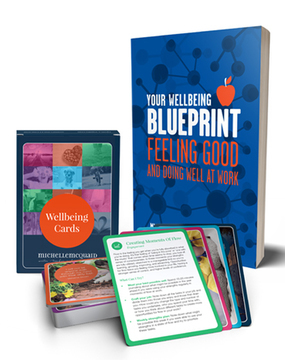 Engaging, educational, and practical, these cards feature tested, practical, busy-proof steps to help you feel good and do well at work. 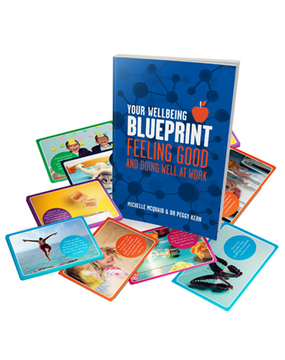 Measure your wellbeing using Professor Martin Seligman’s PERMA framework. 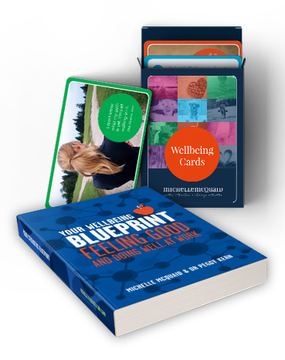 More than 100 evidence-based positive interventions to try. 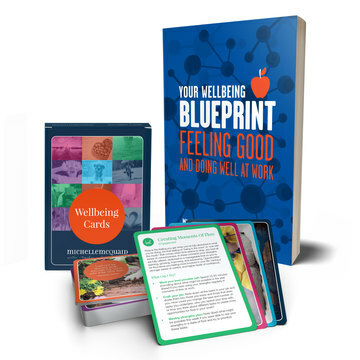 Click the green “Add to Cart” button above to buy your bundle today.